It’s definitely starting to feel like proper winter weather now and here are Longacres we’re getting excited as it’s almost that time of year – Christmas! There is something special about getting Santa’s Grotto ready and seeing all the decorations, advent calendars and cards around store. If you’re looking for a real Christmas tree this year, we can help. 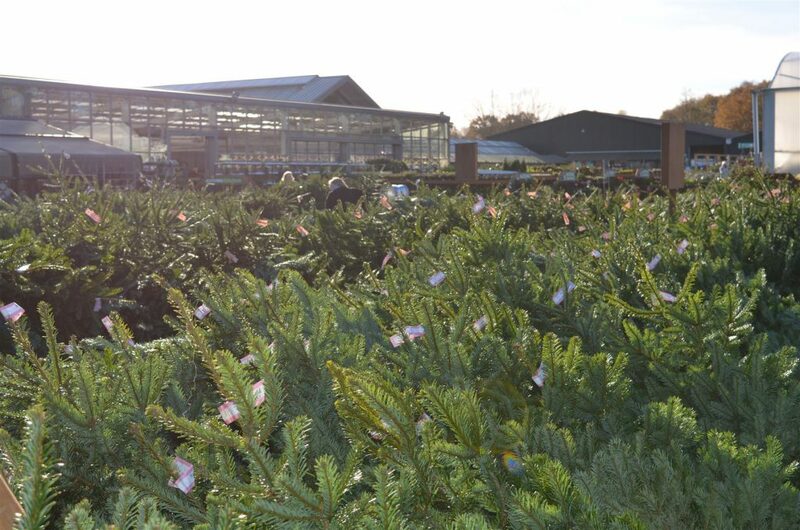 Our trees are now in and we have a huge range to choose from. Need something special to fit that space? No problem! We have trees from 1ft through to 12ft high starting at just £12. Adding a Wicker Tree Skirt makes your tree look even smarter Our Christmas trees can come in the pre-cut or potted variety, ready for you to dress in your favourite colours and styles. You can order your tree online and pop along to our dedicated collection point to pick it up at a time to suit you. If you are after a bigger tree this year but can’t fit it into your car or on the roof rack, worry not! We provide a delivery service within the local area to get your tree to you for just £5. Ho, ho, ho!